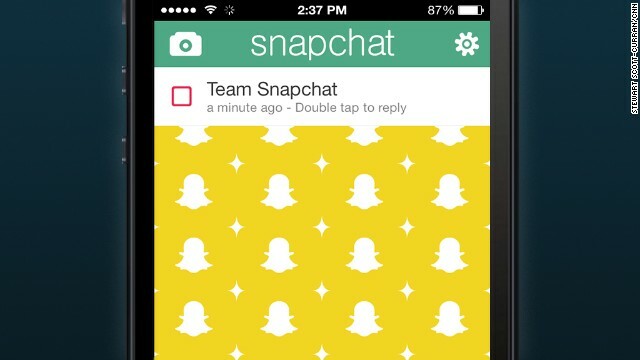 Snapchat hackers say they used a variation of an exploit that was published online last week. (CNN) -- Hackers appear to have posted account info for 4.6 million users of quickie social-sharing app Snapchat, making usernames and at least partial phone numbers available for download. "Our motivation behind the release was to raise the public awareness around the issue, and also put public pressure on Snapchat to get this exploit fixed. It is understandable that tech startups have limited resources but security and privacy should not be a secondary goal. Security matters as much as user experience does," the hackers said in a statement to technology blog TechCrunch. By Wednesday afternoon, developers had used the data to set up a website letting Snapchat users find out whether their accounts had been compromised. Last week, Gibson Security -- a group of "white hat" hackers, meaning they don't exploit the security gaps they find -- published what they said was code that would enable such a hack. The SnapchatDB group said Snapchat implemented "very minor obstacles" after that. "We know nothing about SnapchatDB, but it was a matter of time til something like that happened," Gibson Security wrote Wednesday on its Twitter account. "Also the exploit works still with minor fixes." In a blog post Friday, Snapchat appeared to minimize the potential damage from such a hack, claiming that it would require a "huge set of phone numbers, like every number in an area code," to match usernames to numbers. "Over the past year we've implemented various safeguards to make it more difficult to do. We recently added additional counter-measures and continue to make improvements to combat spam and abuse," the post read. "Happy Snapping!"